A revolutionary battery has been successfully installed at the Hywind Scotland, the world's first floating offshore wind farm located about 15 miles off the Aberdeenshire coast. With the 1.2-megawatt storage system known as "Batwind" in operation, it will be possible for the first time to store energy produced from an offshore wind farm, developers Masdar and Equinor touted in a press release Wednesday. As EcoWatch mentioned previously, if we want to accelerate the world's renewable energy transition, we're going to need much better batteries. Energy storage is crucial to mitigating intermittency and optimizing output. In other words, when there's too much or too little wind, batteries can help store or release energy. "The variability of renewable energy can to a certain extent be managed by the grid," said Sebastian Bringsvaerd, development manager for Hywind and Batwind in a statement. "But to make renewable energy more competitive and integrate even more renewables to the grid, we will need to find new, smart solutions for energy storage to provide firm power. How to do this in a smart and value creating way is what we are aiming to learn from Batwind." Batwind is located on an onshore substation in Peterhead that's connected to the grid. Testing of the new technology will begin soon. "We want to teach the battery when to hold back and store electricity, and when send power to the grid, thus increasing value of the power," Bringsvaerd said. 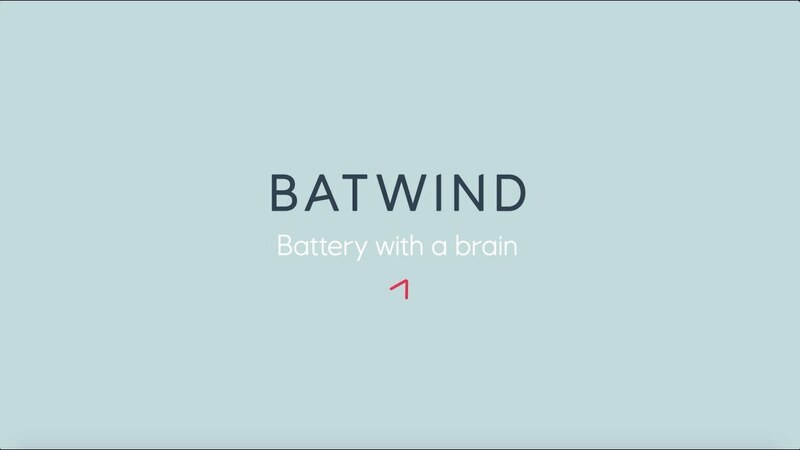 "It will be really exciting to see how we can develop the combined battery and software solution and make Batwind as smart as possible." Bringsvaerd noted that Batwind can one day be utilized for other renewable energy systems such as solar and onshore wind. "We believe this will expand the market for all renewable energy sources," he said. The 30-megawatt Hywind Scotland switched on last October. Three months later, the facility was already performing better than expected. The floating wind farm churned out 65 percent of its maximum theoretical capacity during November, December and January, according to Statoil. The Hywind's five floating turbines produce 6 megawatts each on top of waters more than 328 feet deep. At full capacity, the facility can generate enough power for 20,000 homes.